My last post ended with me coming to a sudden impromptu realization that almost all the games I’ve played recently and all the games I’m interested in playing in the near future are remakes, rereleases, or HD remasters of games that were released some time ago. These include the HD remaster of the Resident Evil remake for Gamecube (a remaster of a remake! ), Grim Fandango, Duke Nukem 3D on the Vita, The Last of Us Remastered, Brandish: The Dark Revenant, and the upcoming Majora’s Mask for 3DS. This left me considering two very important questions: First, why am I apparently more interested in these rereleases than I am the original releases coming up on the slate, and, second, is there merit to there being so many of these types of releases as of late? To me, it seems that the modern craze over rereleases began when Sony realized that it could smush together an entire series of PS2 ports onto a blu-ray disc (an advantage it had over the Xbox 360), and the transition from SD to HD resolution that occurred during that generation created a reason why such ports would be attractive to customers over just buying relatively inexpensive used copies of the PS2 originals. But that’s not to say that this sort of thing hasn’t always been a part of the gaming industry. From Super Mario All-Stars to Final Fantasy on the GBA, it’s easy to come up with a long list of efforts by game producers to mine their old content across electronic gaming’s short history. While there’s a ton of cynicism toward these kinds of releases now, I think there was a time “before” when gamers were much more receptive. I know there was a lot of fanfare for the GBA Final Fantasy versions, as well as many of the SNES ports that system received. It was exciting to get to play those universally-praised games on a convenient handheld format. 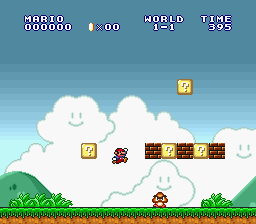 And it was exciting to get all the Mario games with updated graphics on SNES. So what has changed? Why now are people so derisive toward making the great games of the past more accessible? For me, the Super Mario All-Stars collection was the first time I remember a collection of games given a graphical makeover for a new console. I don’t think all that much has changed really. Rather, I think that gamers now get excited for rereleases of specific games, while they are dismissive toward the trend as a whole. I’ve seen near universal excitement for Majora’s Mask, Resident Evil, and Grim Fandango. So the question then becomes more about why gamers can be both welcoming and shunning toward the practice. I think this incongruous attitude is deeply rooted in the hyperconsumerist mentality that unfortunately remains entrenched in certain parts of the gaming community. This cult-of-the-new attitude has been especially inflamed by the trend of the release calendar being seen as a bit barren ever since the latest round of consoles came out. And then to exacerbate the issue further is the fact that a nontrivial portion of the big name releases have been hampered by serious issues, both from a design and technical perspective. This hurt the perception of rereleases in that many gamers began seeing them as cynical attempts to fill out an empty release schedule instead of delivering new experiences that exploit the power of these new gaming machines. 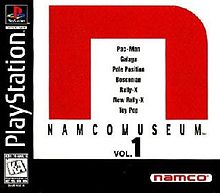 Namco Museum is a series of Namco arcade compilations that are much treasured by Playstation collectors. But are all these rereleases just a cynical cash grabs? The answer is probably yes, but I say that under the realization that it is a certainty that every action a major game producer takes is largely guided by its business interests, rather than its creative interests. So really, you can’t fault these rereleases for being cash grabs unless you leverage the same complaint against original titles, because they’re both just calculated attempts by a company to make money. And while some may complain that these are being pushed on the market in lieu of new experiences, I also doubt that is the case. The amount of manpower and resources that went into fixing up Resident Evil for modern gaming machines is probably a much smaller fraction than what would have went into making a new Resident Evil game, and, in fact, Resident Evil Revelations 2 is being released in just a short while. Same thing for Grim Fandango and Zelda, as Double Fine seems to have a number of other projects cooking, and Nintendo plans a new Zelda for later this year. In fact, it wasn’t that long ago that we got an excellent Zelda for the 3DS. I’ve also heard the complaint levied that returning to and reproducing so much content isn’t good for gaming as a collective creative endeavor. I agree with this to some extent. I always want gaming to move forward, and I strongly support the growth of new creative experiences. I don’t want to allow obsession with nostalgic past experiences to take over any part of my life, gaming or otherwise. But I also feel that it’s important to have played and experienced the great games of the past to have a better understanding of the potential and depth of gaming as a creative endeavour. No one in music has ever said that you shouldn’t listen to Led Zeppelin because Fall Out Boy just released a new album, and, similarly, I don’t think anyone should say that you shouldn’t play Ocarina of Time because you’ve played the latest Dragon Age. I get most excited by rereleases of great games I’ve never gotten the chance to play. I don’t think anyone can say that they’ve played every classic game out there, and these rereleases create accessible and convenient versions of these classics for the broader audience of gaming today that are compatible with the current technology we use for gaming and attainable through the storefronts that are most readily available to us today. And taking it a step further, I hope this trend can help introduce younger audiences to what I/we consider important gaming experiences. Sega 3D Classics are a series of Sega arcade and Genesis games that have been expertly recrafted to take advantage of the 3D capabilities of the 3DS. To wrap up this long rambling post, I want to return to the other question I asked myself in the opening: Why am I more interested in rereleases than I am original content right now? I think it’s just a coincidence really. The release schedule right now is not so good. It’s typical of the post-holiday time really. The big name original releases that are coming out, such as The Order and Evolve, just don’t resonate with my personal interests, and even the indie gaming scene, which is usually so restless, is a bit quiet right now. So I turn my attention to all these classics that are gurgling up. And having just got out of grad school (which was a long period where I had to agonize over all my buying decisions), I have the time and money now to go revisit some of the games I’ve felt bad for missing but always wanted to play, and I’m actually somewhat thankful for this opportunity. I’ve always been a big fan of OCRemix, and just last month the video game fan-driven community of musicians celebrated its 15th birthday. It’s a site that I’ve kept up with on-and-off over the years, but it’s great to see that it still seems to be going strong. As a toast to it’s success, I’ve compiled a list of 10 of my favorite tracks from the site, a list that I think puts a good emphasis over the talent and diversity that can be heard in the vast library of music that can be found there. This bouncy, ska tribute to the pink puff ball’s endless gluttony wins big points with me for having a great vocal track, something that is often missing from most OCRemix releases. Also, the version listed on OCRemix’s site labels this as the “clean version,” which gives me a chuckle, since somewhere out there someone has released an explicit remix of a Kirby theme, of all things. OCRemix is overwhelmingly dominated with tracks derived from 8- and 16-bit classics. Therefore, I always find it great to see musicians stretch out to more modern titles, and Poolside have produced this amazing track out of a relatively obscure Super Meat Boy level theme. This incredible, epic rock-opera style track has possibly the best vocals I’ve ever heard on OCRemix, pitting singers Josh Whelchel and Melinda Hershey together as the three main characters of the game: Meat Boy, Bandage Girl, and Dr. Fetus. As I’ve mentioned above, OCRemix is maybe a bit overrun in techno remixes of 16-bit games. The Frog Dance, derived from Chrono Trigger, more than just contributes to the oversaturation, but rather it may just be the techno-iest of the techno. Ripped straight out of a ‘90s dance club, it might not be the most unique track in existence, but there’s a catchiness to it that I find hard to forget. Of course, Frog’s Theme is excellent source material to build off of. Gaming has tons of heroes, but despite his relatively down-to-earth job, I think Phoenix is one of the noblest. He’s not out to save the entire world, rather he is tasked with preserving the innocent against a system that is overwhelmingly stacked against them. The courtroom theme is suitably gloomy, but at the same time righteously persistent. And here we have a jazzy, hip hop rendition of the theme that I think captures the defiantly altruistic “justice for all” theme of the classic courtroom series. Surprise! Another SNES-inspired techno remix! Yes, I know, I know. Again, not necessarily the most interesting selection, but again, as with The Frog Dance, this track really left an impression on me. Specifically, the wild sax solo at the end always gets to me. Dr. Mario fans should be well aware of the eternal argument over the virulent puzzlers two themes: Fever and Chill. Although I think most people favor Fever as it is the default background music, Burning Up completely opened my eyes to the lesser appreciated of the two tracks. The most prominent feature of this track is its radical organ solo which combines with its squeaky sci-fi take on the classic composition to elevate this to one of the site’s best remixes that lacks vocals. It’s been a long time since Tetris burned the famous Russian folk song Korobeiniki into our brains. This epic collaboration between various remixers and vocalists is not so much a remix of the tune of the ubiquitously-known theme, rather you could probably consider a rewriting of the lyrics. In this version, from four separate vocalists, each representing one type of tetromino, we are told the tale Tetris from the point of view of the falling blocks, replete with characterizations of their own personal idiosyncrasies. Resident Evil always seems to take a top spot in rankings of video game music from professional sites. This has always been surprising to me since I can’t seem to remember a single bit of music from that series. I think that is because the background music in RE tends to be more atmospheric in nature, meant to subtly help amplify the mood rather than gain attention for itself. The same could possibly be said for the music of the Silent Hill series, but for some reason, I’ve found the rambling dissonance of Akira Yamaoka’s compositions have lingered with me far more. Static Aversion represents a fairly long-winded tribute to Silent Hill 2’s haunting sounds. It doesn’t really pick up until about the three minute mark, but I think its worth a listen for any fans of Silent Hill. This track is a remix that combines LeChuck’s theme and the game’s opening theme with, apparently, a little bit of Sagat’s theme from Street Fighter 2 of all things. I think this one is noteworthy because of its elaborate instrumentals, which most prominently feature trombone, but also piano, some funk synth and even a chiptune breakdown which manages to feel right at home. Despite it’s age, OCRemix is still very much a site that gets frequent updates, and I thought it would be best to complete the list with a remix that just saw recent release. Tutti I Frutti is touted as the site’s first composition derived from Super Mario Sunshine, and the result has definitely been worth the wait. Tutti I Frutti is a funky track that introduces us to Piantee Joe, a sly-witted, not entirely all-above-the-table fruit salesman from Isle Delfino. While the melody here is excellent, the lyrics are actually some of the most cleverly-written that I’ve ever heard from the site.